A soft palette with decorative details makes a beautiful impression with this chiffon gown. Add a feminine clutch to complete the look for decadent special-occasion style. 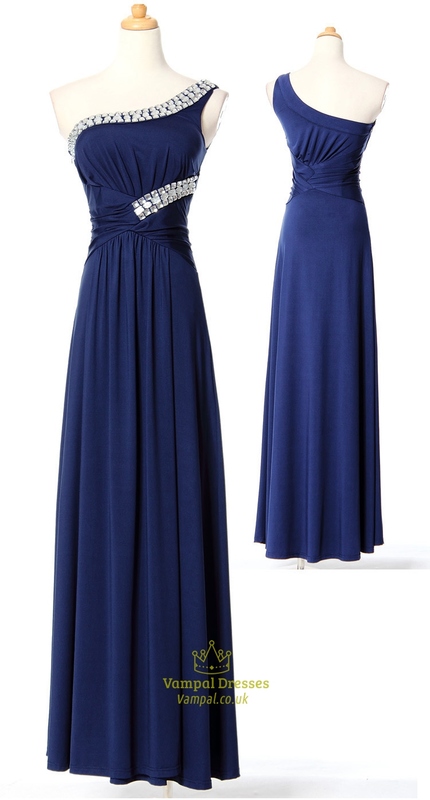 Asymmetrical neckline. 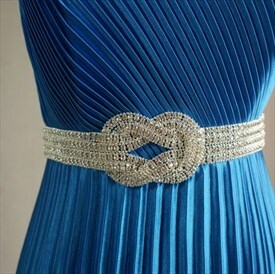 Jewel- and stone-embellished strap over left shoulder and at left bodice. 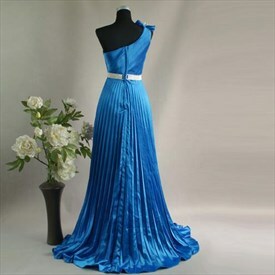 Curved pleating at neckline and bust. Relaxed draping at skirt. Center back zipper with hook-and-eye closure. 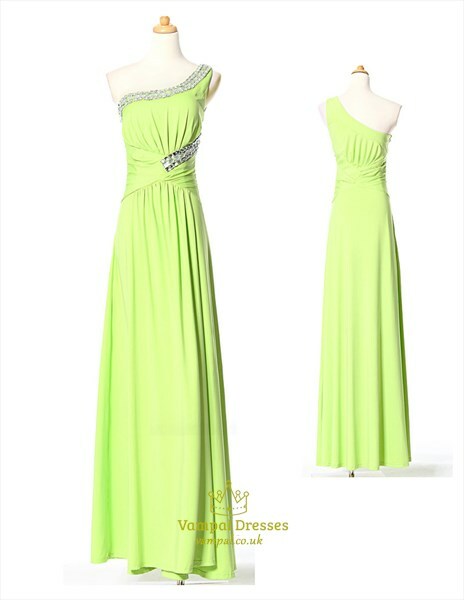 Measures 52.75" from neckline to hem. I purchased my dress March 20th and received it today April 27th and my prom is in 2 days. 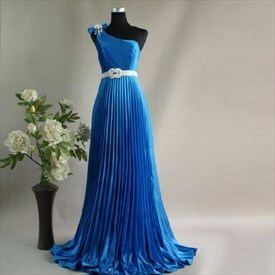 The dress is not exactly what it looks like in the picture and does not look like it was finished. 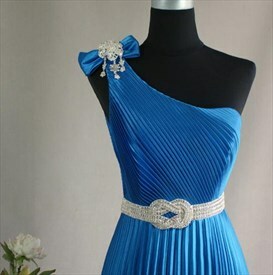 There is no way of hooking the strap to the back of the dress and only half of the strap is beaded. It needs to be fitted also.The dress is beautiful but looks like it might have been rushed to be not-so-finished. I'm satisfied but not ecstatic.